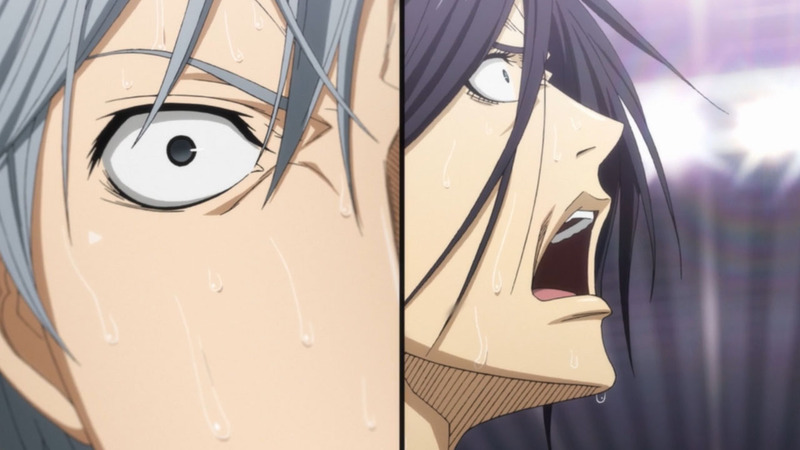 After a bit of a delay, we finally get the final episode of Kuroko no Basuke. But before jumping straight into the final impressions, can we all just admit that the past two episodes have been absolutely amazing? From the literal space jam to seeing a humbled and softer Akashi, this is definitely the final battle we’ve been waiting for ever since the Winter Cup started. So without further ado, let’s jump straight into the final impressions! 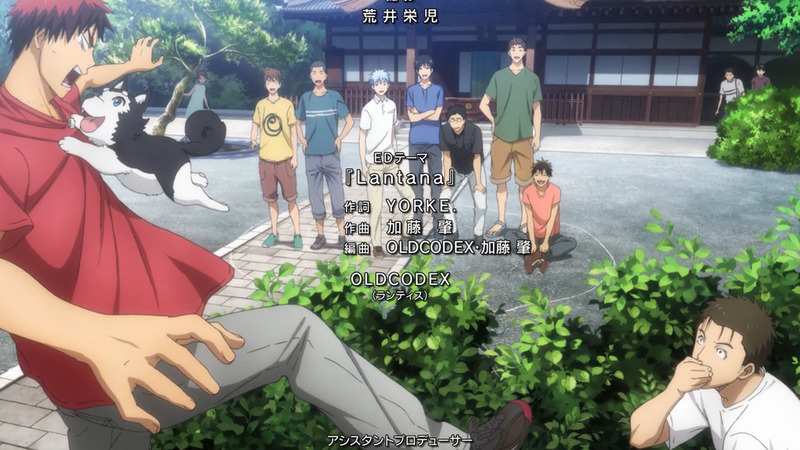 Being the third season of this fun to watch sports anime, there’s been a lot building up since we first watched Kuroko and Kagami hit the court. We’ve seen the internal struggles that our characters have been facing as well as the answers they’ve found to cope with them. Sure, there may have been some slow episodes along the way, but never was there ever a match where your heart didn’t start pumping. Full of special moves that kept getting more and more complicated, it was nice to see enough extra flair added to make them feel special in their own right. Luckily though, we never managed to hit full blown shounen territory. As this third season showed us, there’s just as much stuff to see and enjoy when you focus on the players and the team as a whole. With that, let me jump into some specific third season stuff since there’d be way too much to talk about if I tried to include the past two seasons. 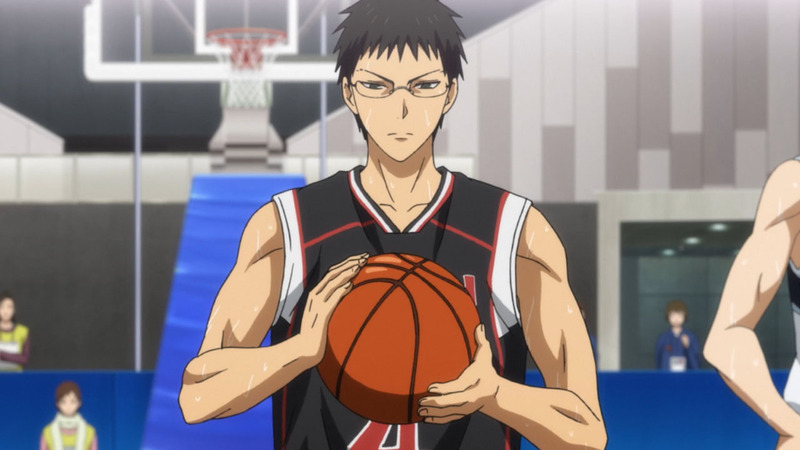 Among all of Seirin’s players, I can’t get over just how freaking awesome Hyuuga was this season. 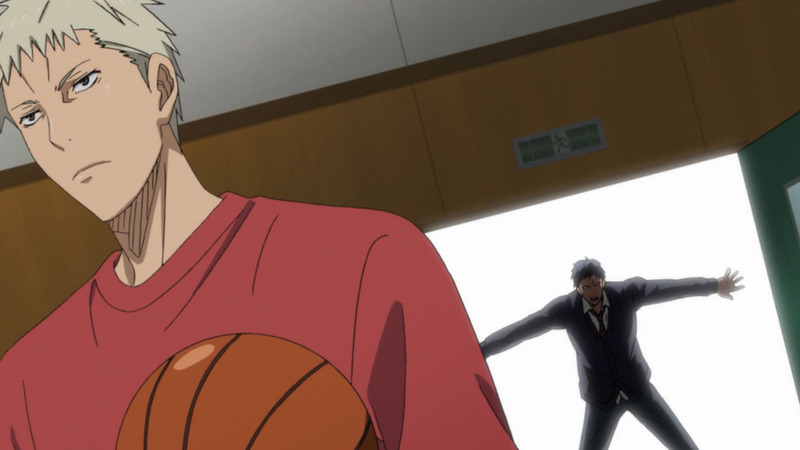 He’s always been a very memorable character, but his actions during some of Seirin’s toughest games were simply awe-inspiring. He understands what it means to be the captain and leverages that weight in a way that benefits the team. What was pleasantly surprising though, was to see him stumble against Mibuchi. Uncharacteristically losing his cool after getting fumbled up multiple times, it almost felt like things were over when he was facing his fifth foul (which would get him kicked off the court if he got it). But not letting even the fear of getting kicked out stop him, he stood up to the problem at hand at took care of it like a boss. 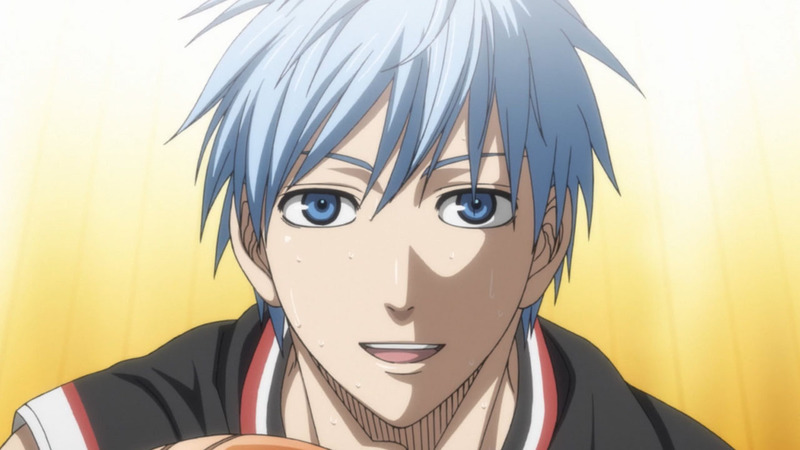 At the same time we can’t forget about Kuroko. The titular character of the show, he’s been shining in ways that I didn’t think were possible for a shadow. 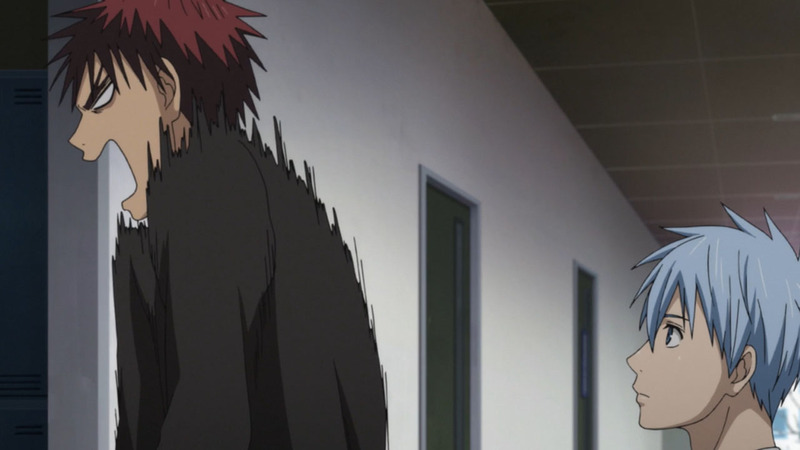 Besides being the catalyst that’s constantly been unlocking more and more power within Kagami and the team as a whole, I love how he’s become the one who’ll keep the fire burning within everyone even after it’s been doused with water. 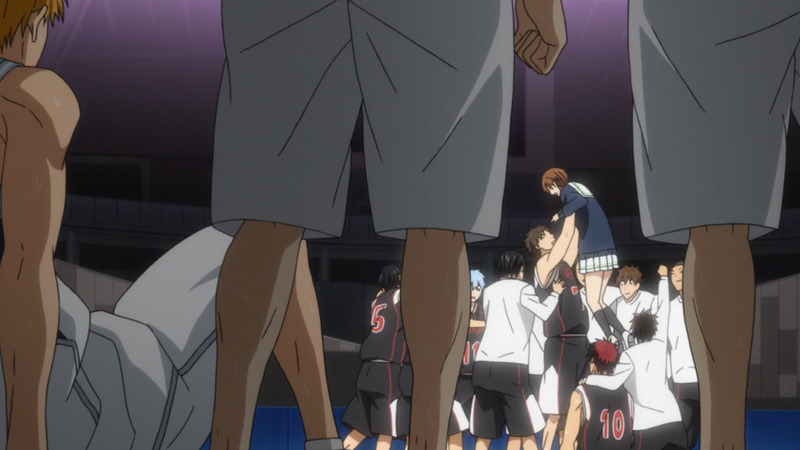 If I had to pick my absolute favorite moment throughout the entire series, it has to be that moment when he managed to pick up the entire team after nearly breaking under Rakuzan’s insane pressure. 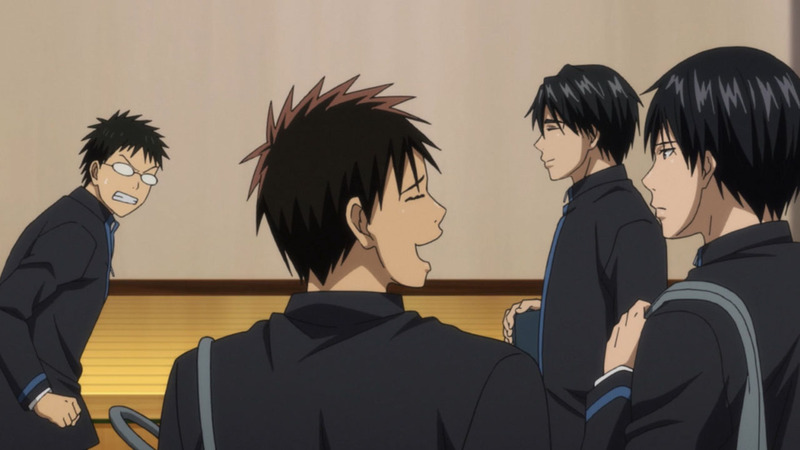 Specifically talking about episode 70 (or S3E20), I think I’ve replayed that moment when the opening song that Kuroko’s seiyuu sang during the Teiko arc starts playing at least 30+ times. 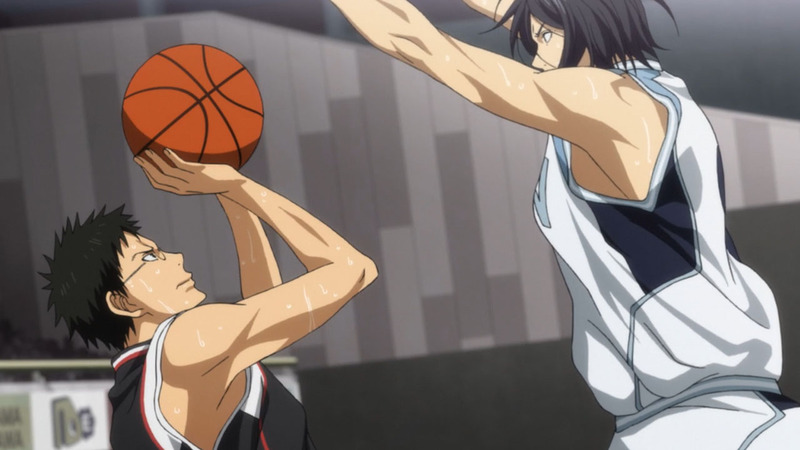 There’s just something about that moment where you realize that Seirin actually has a fighting chance so long as they just don’t give up. A feeling that keeps building up all the way to the point where you can’t help shed some tears when it hits you all at once. That said, all of this wouldn’t have been possible without such a good ex-villain like Akashi. His character was shrouded in mystery for nearly two seasons and when we finally see him, he’s really unlikeable. Full of arrogance and not even humoring the idea he could possibly lose, his insane skills and horrible personality created the perfect environment for the final match. 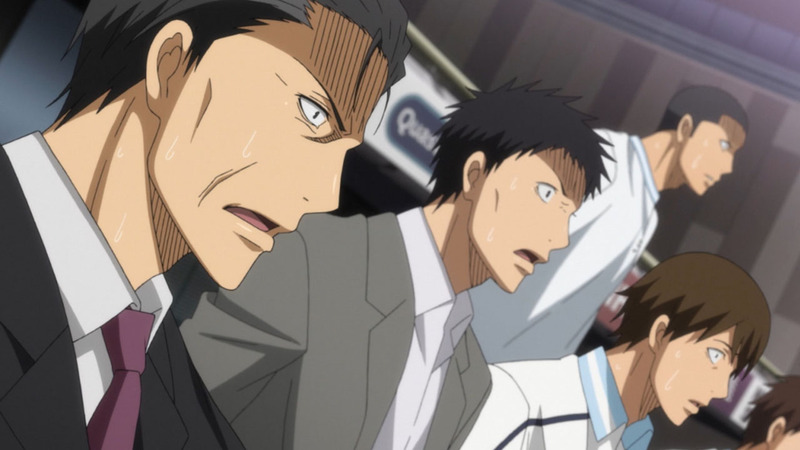 Pushing Seirin to the edge over and over, he was literally the reason why the match felt amazing, and was amazing to watch. 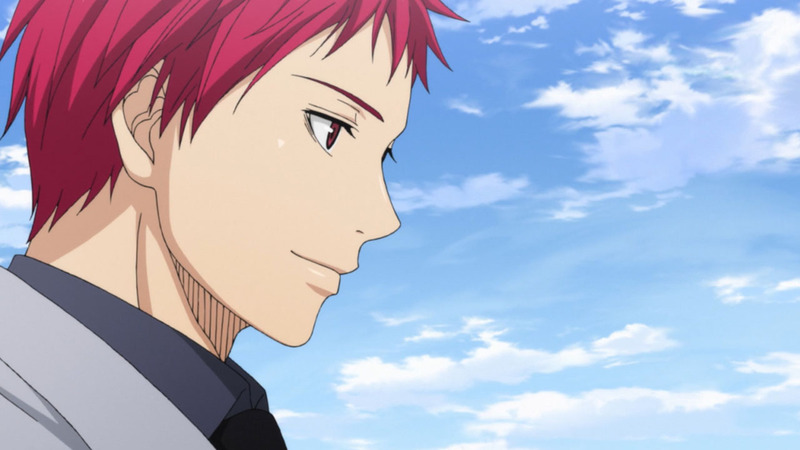 But then to see him revert back into the likeable Akashi? The one that wasn’t a complete dirtbag and actually cared about his team? It’s like the show was giving us our cake, letting us eat it, and then gave us a second one to eat just because it could! 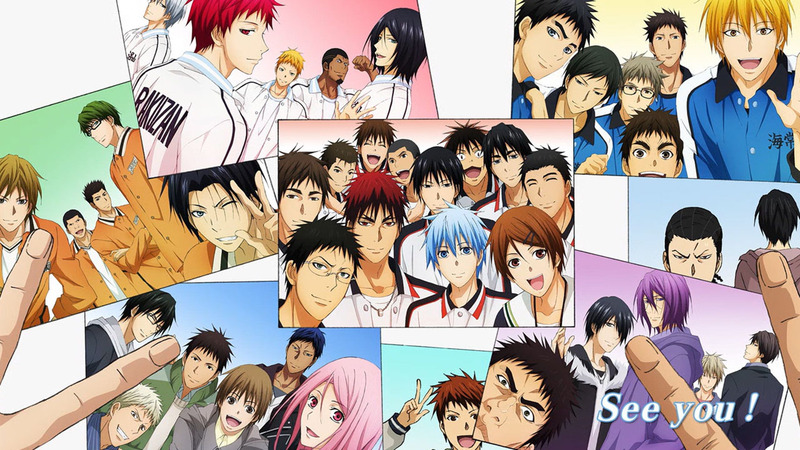 Overall, I really enjoyed this third and final season of Kuroko no Basuke. It’s quite funny when I think about it, because the only reason why I even covered the show was because I managed to marathon the past two seasons right before season three started. I’m glad I did though, because in the end it was all worth it. 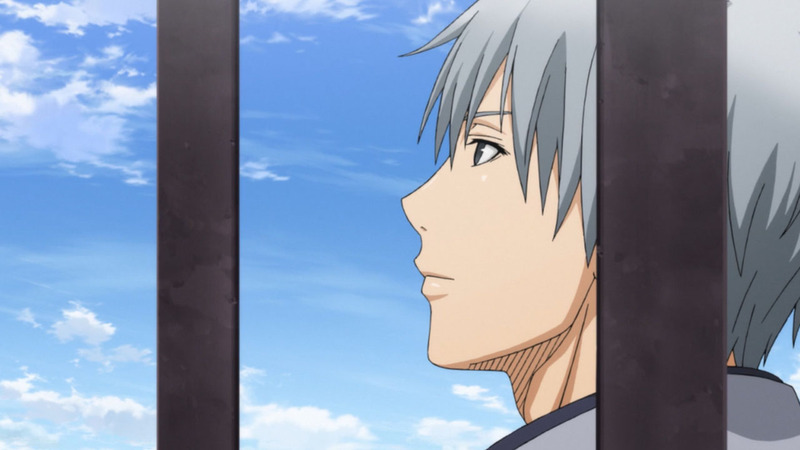 From the feels to seeing everyone realize just what “The Basketball Which Kuroko Plays” means, the whole thing was an intense rollercoaster that just didn’t know when to put the brakes on. Sure it might have a predictable formula, but why try to fix what’s not broken? Thank you to everyone who’s been following the post for the past 2-cours! I hope you enjoyed the show as much as I did, and I can’t wait to see you when the next season starts! Also, for anyone who’s feeling down that there’s no more Kuroko left, there’s still a manga called Kuroko no Basuke: Extra Game which takes place a year after today’s events. Who knows, maybe it’ll get animated somewhere down the road? Catch you guys later! Amazing end to an amazing series. 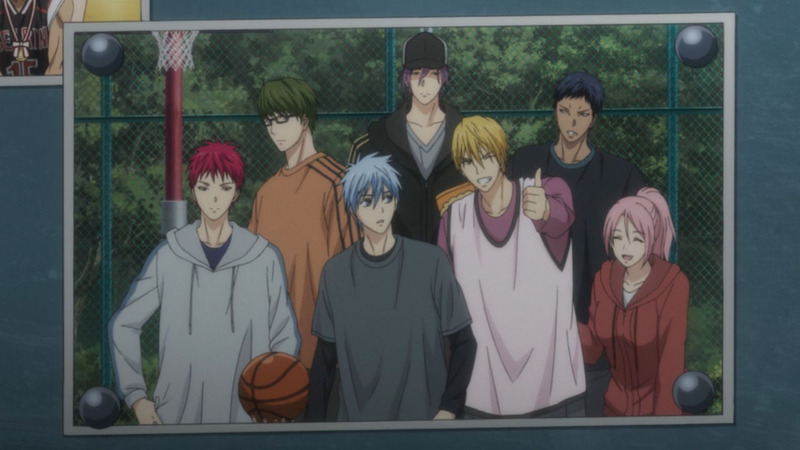 I’ve been following KnB since 2013 and I’m both sad & happy to see the finale of the main manga adapted. Thank you Takaii for blogging this. I looked forward to reading your weekly posts and I’m glad one of my favorite anime was picked up by someone who appreciated it. God the ending sent chills down my spine. Thanks for keeping up with the posts! I was drowning in feels while watching the last episode. What happens now that the show is over? If I remember, it used to be Slaine and now you’re Kuroko. Love the final picture in the locker room of everyone together. Can’t believe its finally over! 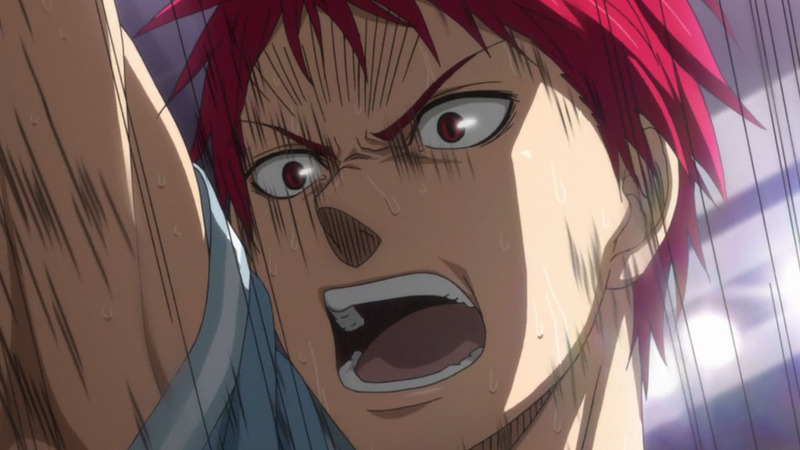 I hope KnB Extra Game manga gets an OVA or movie! Or a Season 4. 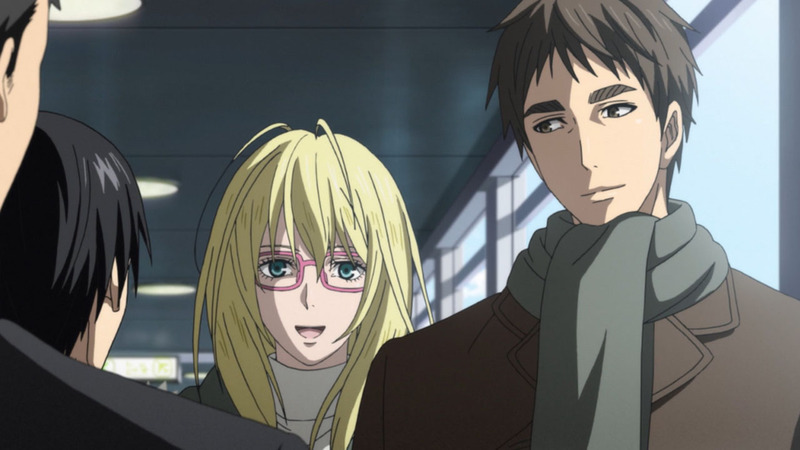 If sequel manga gets enough chapters, they can do at least a 1-cour (12 episode) adaptation. I believe the OVA special is coming out in December. During Xmas to be exact. 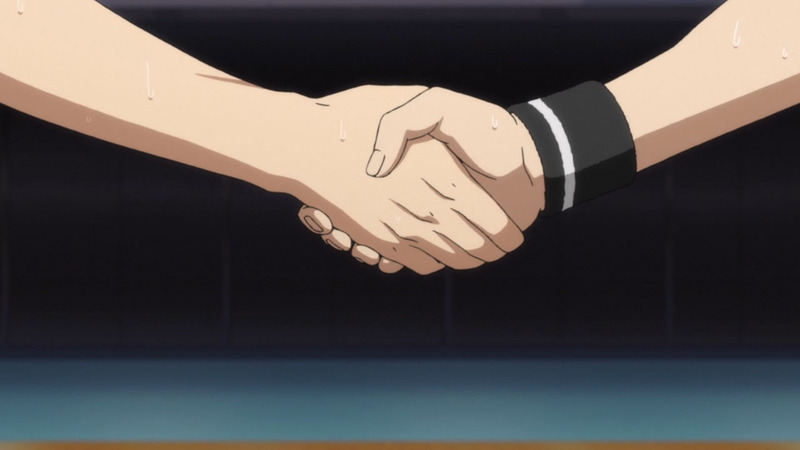 In reality, its just fanservice to allow the GoM to get together again after the series, and in a way that lets them showcase their full abilities. 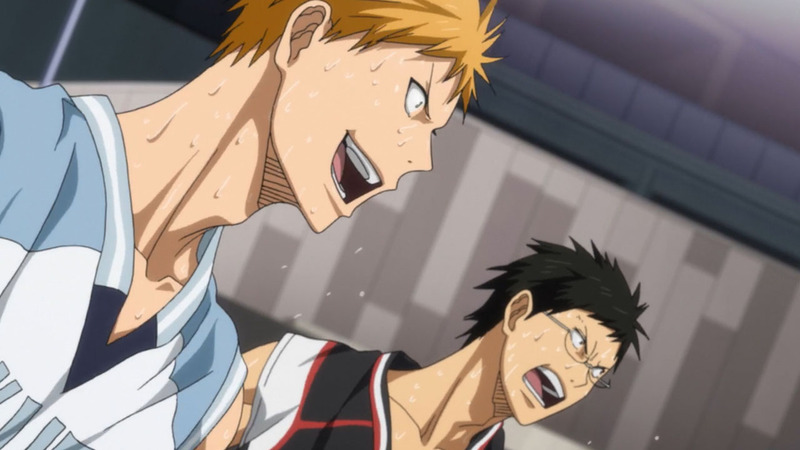 It’s something any KnB fan would want to see. The story isn’t as important as seeing the personalities of the GoM clash with one another, so despite how stereotypical the story and “villains” are, I’m glad to read it =03. Aaaaarghh!!! So sad it’s the end. I actually enjoyed this arc better than in the manga. The artistry and music were brilliant. Great pacing, I didn’t felt it was rushed. Thank you for blogging, Takaii san. It was a real pleasure reading your blog. 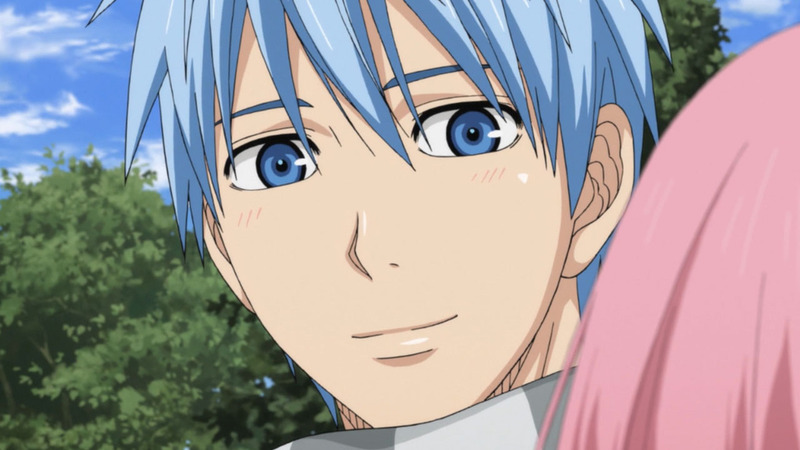 I’m biased but Kuroko is Main Character of the Year for me. 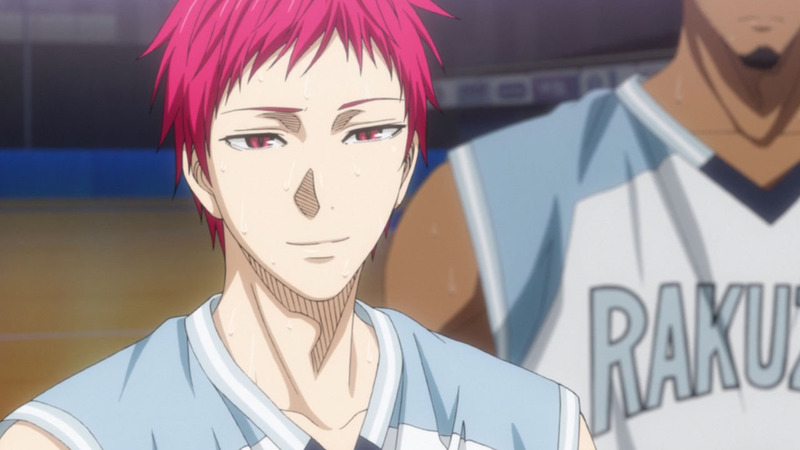 You’ll win next time, Akashi. 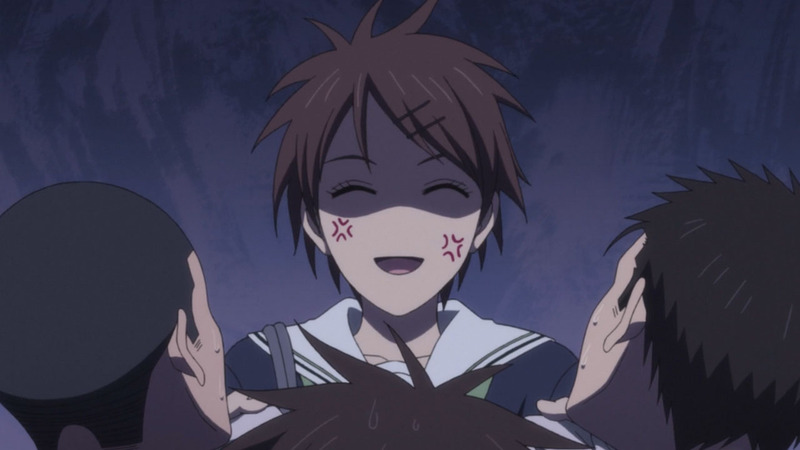 Kuroko is the surprise epic character of amazingly epic proportions. 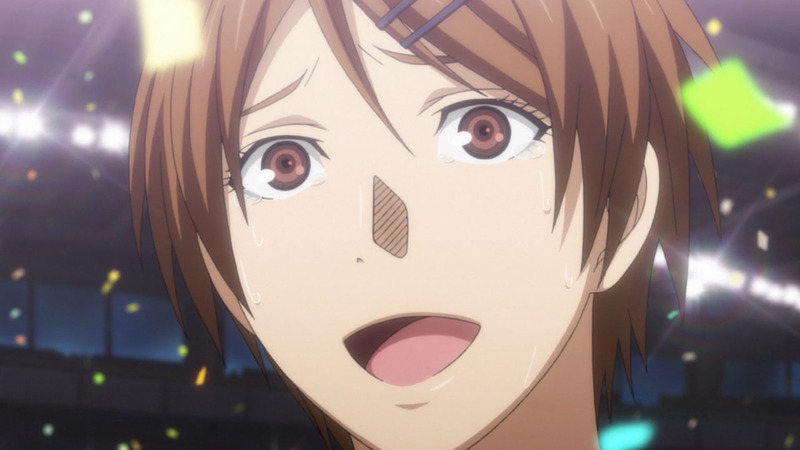 Wasn’t Hyuga going to confess to Riko after they’ve won? The game’s conclusion was predictable, but it was still pretty exciting. 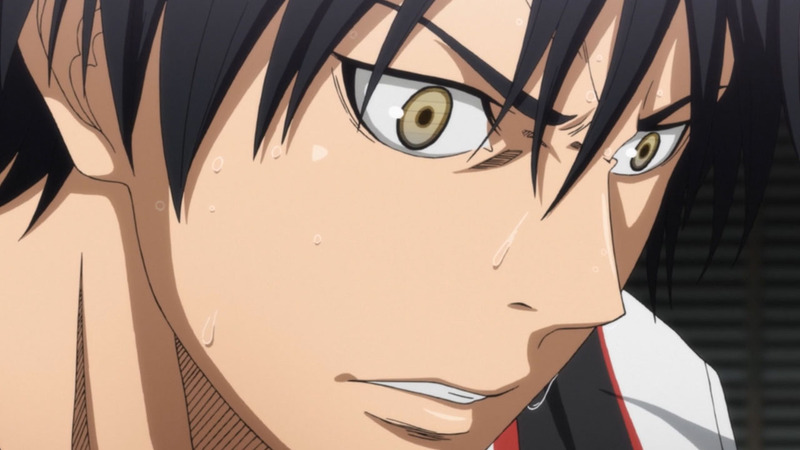 I am not interested in sports but I really enjoyed KnB. Great production value. I’m going to miss everyone! Well most anime are predictable but I think the most important thing is the execution. It’s more about the journey rather than the destination. The end card says “SEE YOU!” not ”GOODBYE!” That’s all the proof we need. More Kuroko no Basuke to come. 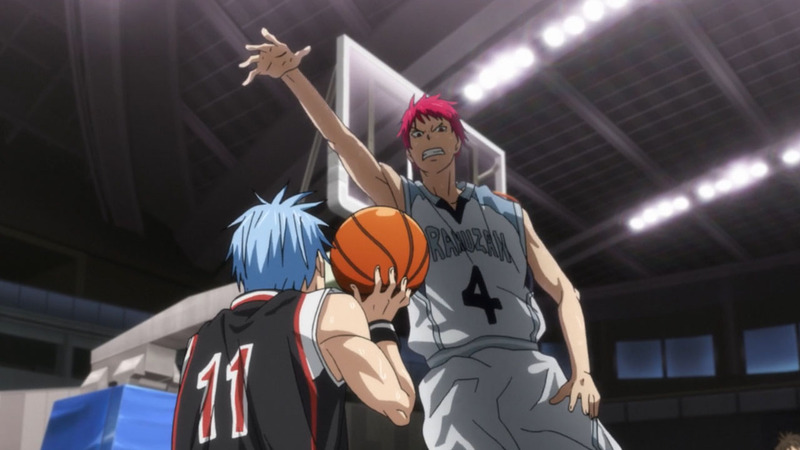 I like how they played ”Can Do” during Kagami’s final dunk! Brings back memories of Season 1. 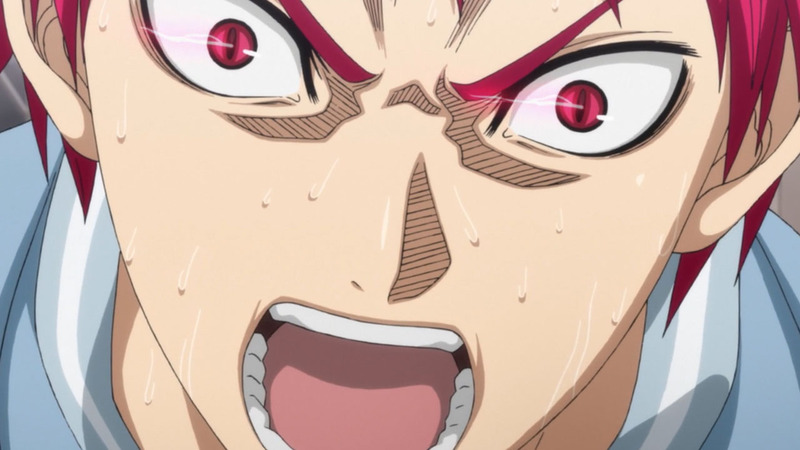 That was when he was the absolute Akashi. 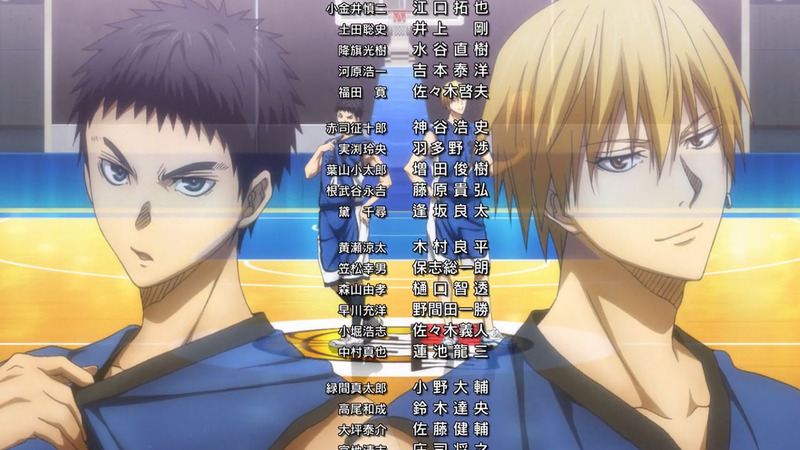 How I missed the KnB opening 1. 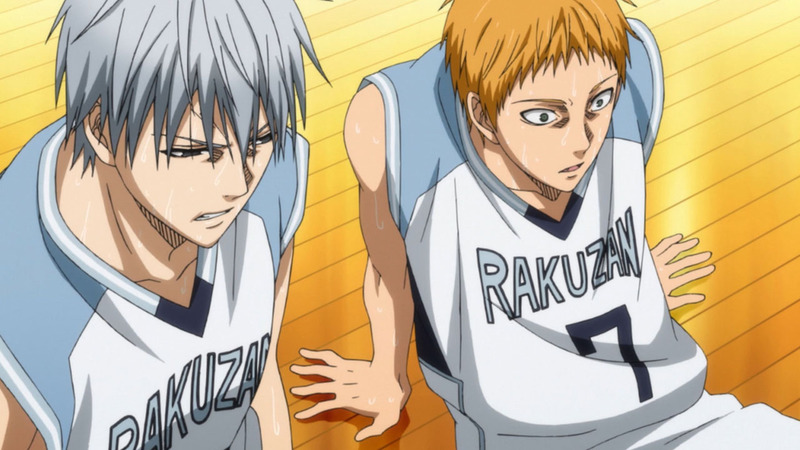 The only thing I regret not seeing is Kuroko in the zone. I know it’s impossible for him but that would have been freaking cool to see. It’s always sad when a series I like ends. 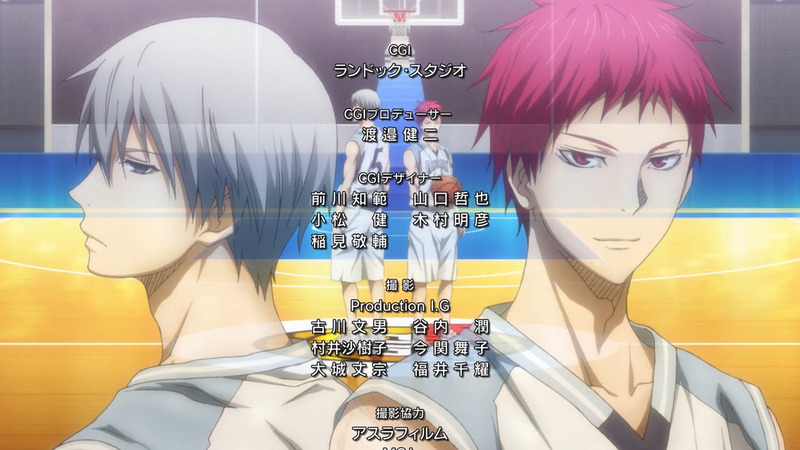 T_T Seeing Akashi cry and congratulate Kuroko was so touching. That was longest and most intense 40 seconds. 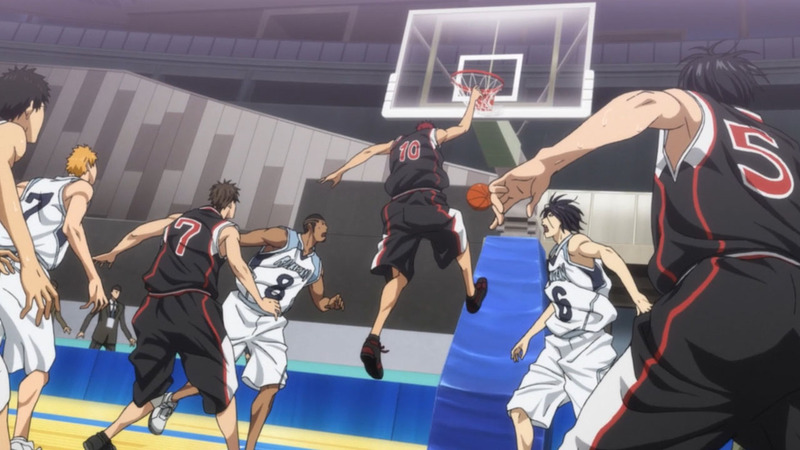 But yeah, a few nanosecond delay on Kagami’s alley-oop dunk and Rakuzan could have won it, instead. They should have shown a replay on the buzzer beating dunk. Is there enough material for a next season? As of now, no. Only 3 chapters have been released, each 40+ pages long. That’s enough material for about 3 episodes. 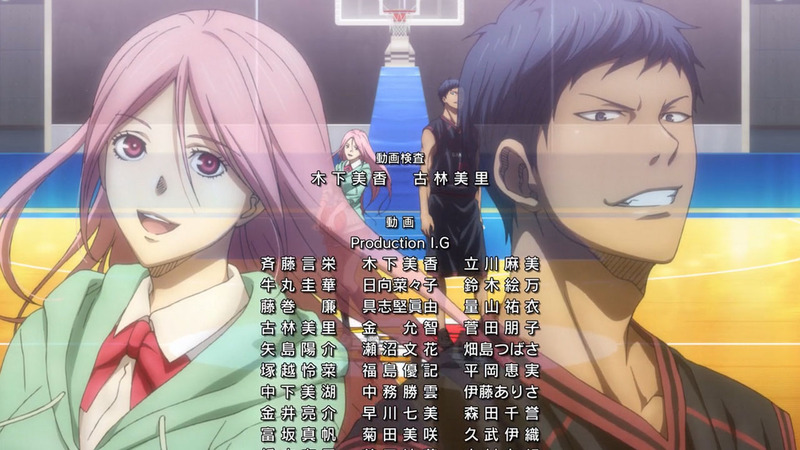 It’s disappointing that Aomine and Momoi never got together. 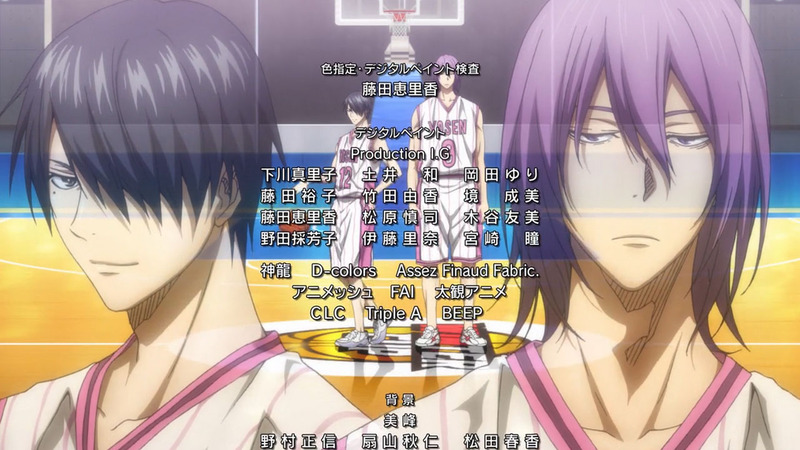 They are paired up even in the ED. It’s like they’re hinting this is a canon couple. I just realized the ED shows all the pairs of ”light and shadows” for each team. 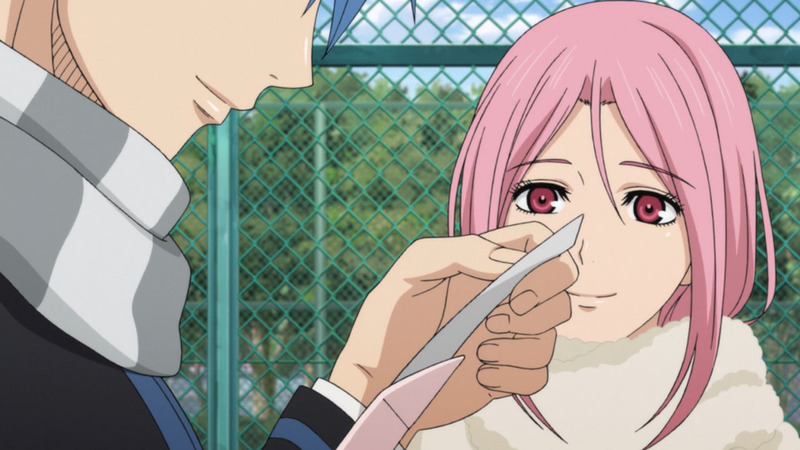 I was hoping to see Kuroko going out with Momoi. Pretty good show overall. Nice animation quality, good pace – hardly any weakness in the anime adaption. And the soundtrack above all. Has it really been 3 years already? Damn time flies. Both the Teiko arc and ending match was a bit rushed but at least they animated the whole manga. Props to the amazing team who worked on this project. I’m going to miss this show! Now only if Slam Dunk’s interhigh arc gets animated so anime only fans also get some closure from the series. 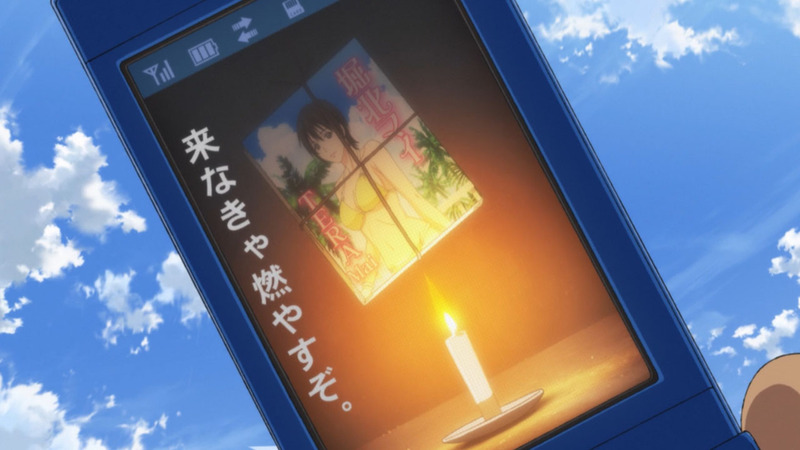 Would really be so excited if Production I.G. picks it up as well. Their sports anime adaptations are really gorgeous. Just a thought. 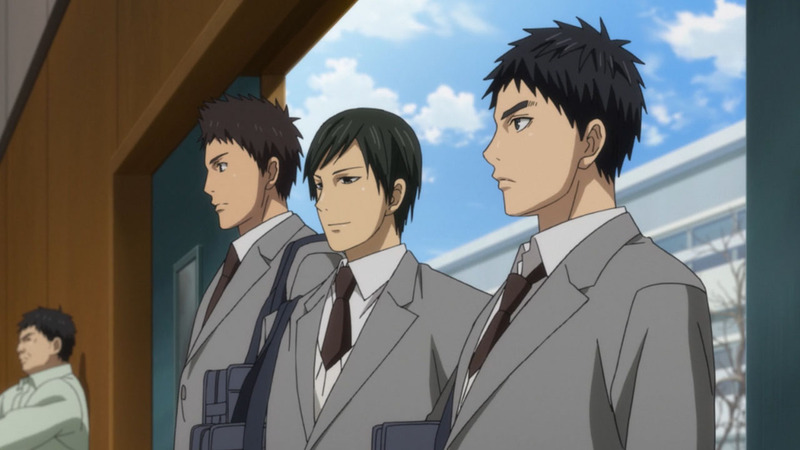 Seirin’s core members are still intact for next year if Kiyoshi’s rehab does fine since their oldest players are only second years while the competition already lost a lot of their key third year players, Aomine’s team takes a rather big hit as well as Kaijo. Only Rakuzan lost one which is Mayuzumi but they still have Akashi and the 3 uncrowned Kings. Of course this is merely a fanfic territory already. 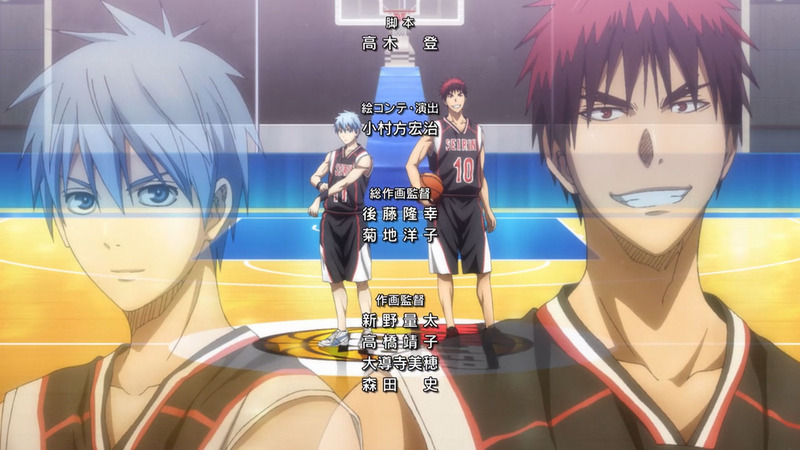 features all GoM + Kuroko and Kagami playing together to beat the visiting US team. I might probably be blown away if all members of Team Vorpal Swords (Japan Team) enters ZONE and uses Direct Drive Zone against the Jaberwock (US Team). Jesus… Aomine and Kagami’s Zone, Kise’s Perfect Copy, Akashi’s Perfect Pass… damn… so many AWESOME possibilities in the current arc. Recent chapters already have Kuroko, Kagami, Aomine, Kise and Murasakibara playing on court middle of the second quarter after subbing out Midorima and Akashi. 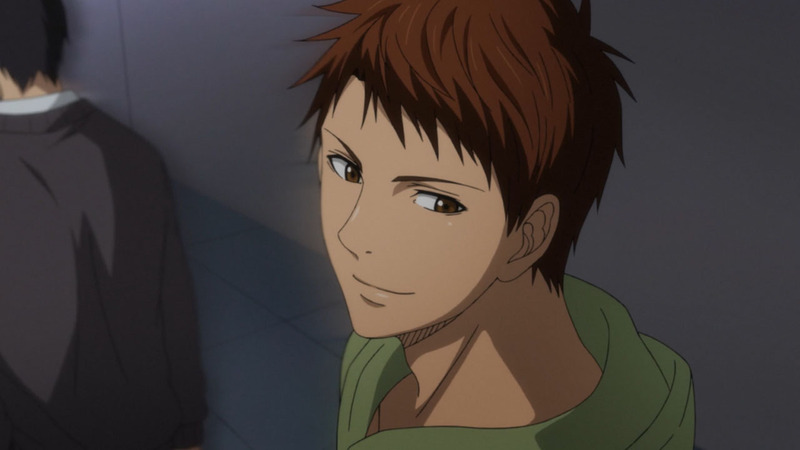 Kiyoshi gave away his leg for Seirin. He went above and beyond to help his team. 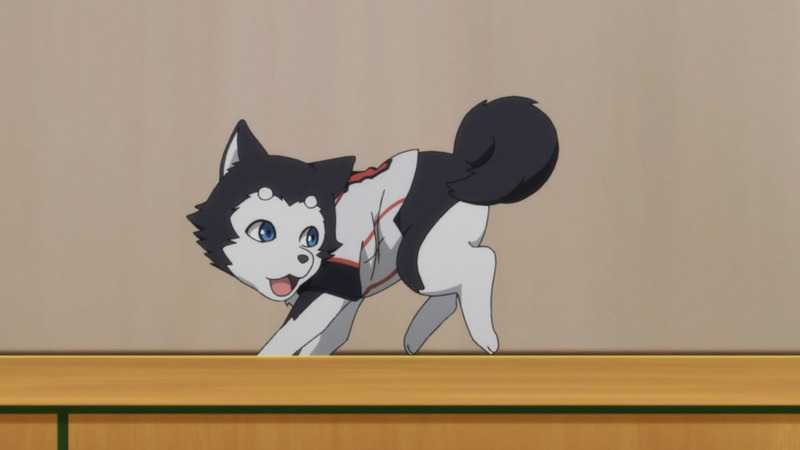 Truly one of the most underrated KnB characters. 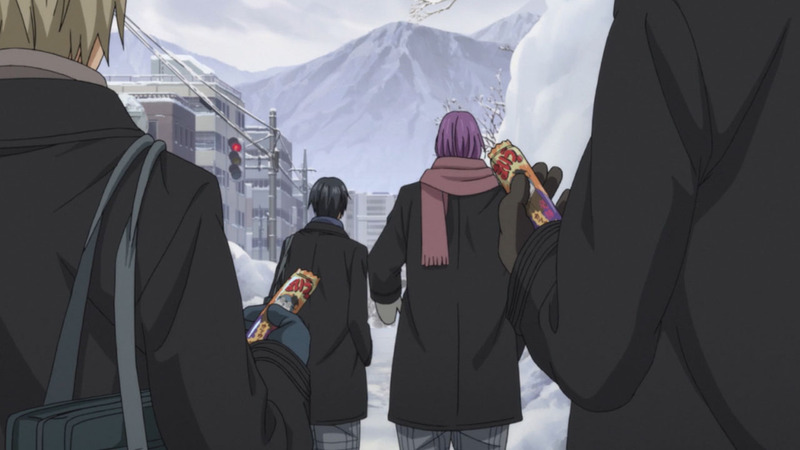 Always funny how they lure Aomine into practice. He keeps falling for their tricks lel. 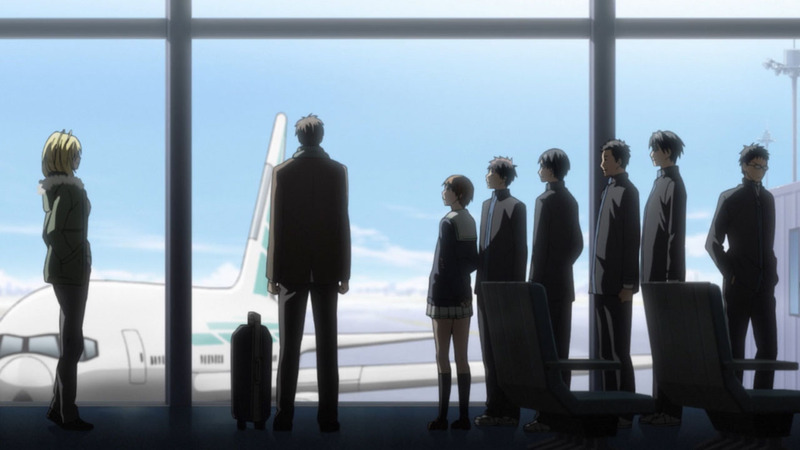 Time to say goodbye to KnB anime for now. At least one anime didn’t disappoint me this season. Amazing intensity in this episode. OOOOOOOOO! YES!!!!! 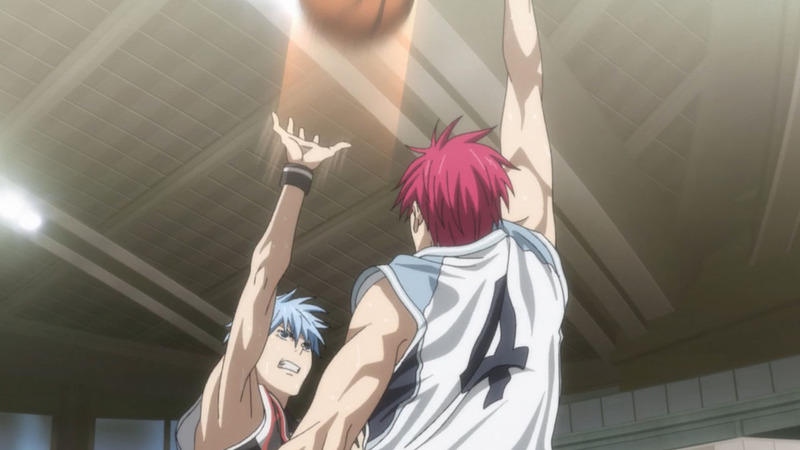 Next to Prince of Tennis I love Kuroko’s basketball. It was a very close game but victory is assured since it’s their story. And it was a great “final” episode. 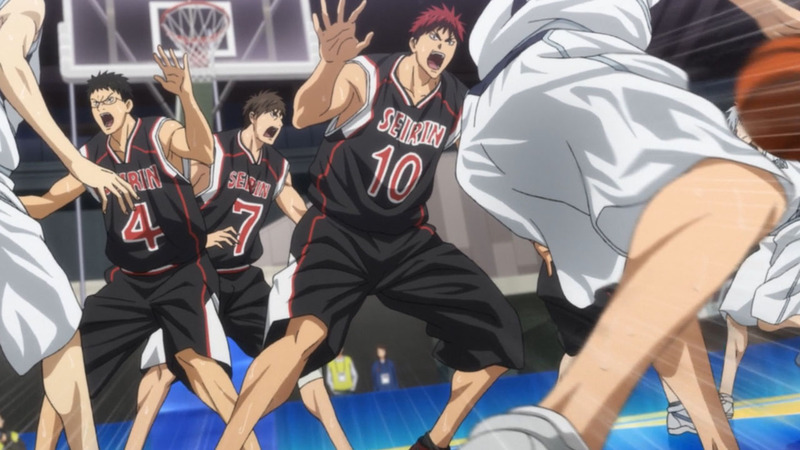 Everyone had their own small part of victory that led Seirin winning in the end. 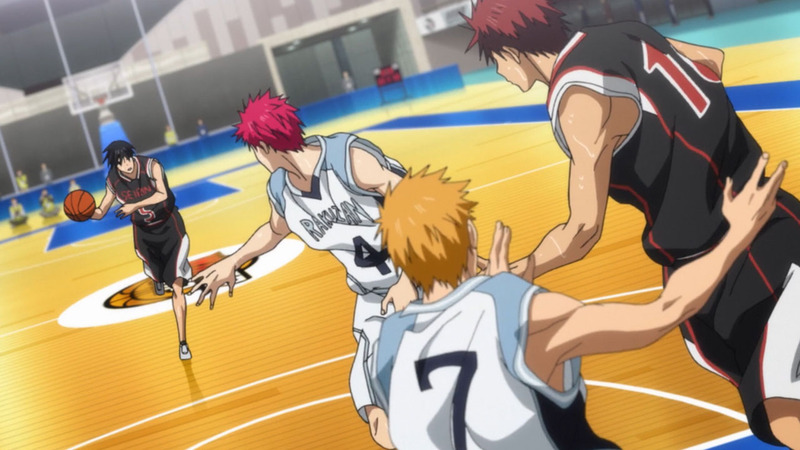 Izuki with his awesome steal, Hyuga with his amazing shot landing in, Kiyoshi with his strongest rebound, Kuroko being the unbeatable shadow/unstoppable assists, and Kagami with his meteor jumps/dunks. 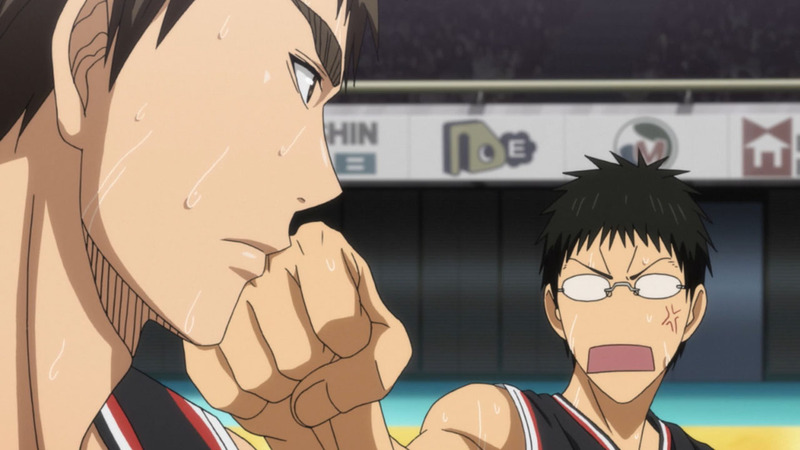 Seirin fight! Yeah! 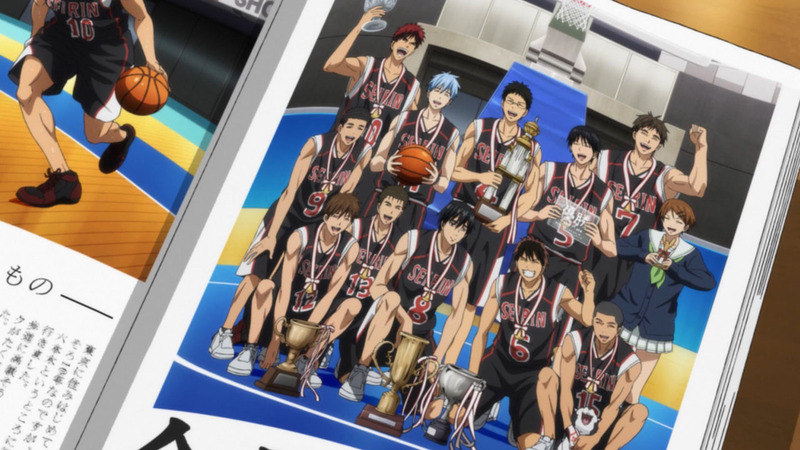 While it’s true that KuroBas isn’t the most realistic anime, you can easily get past that with the great animation, plot, pacing, and most importantly character development and growth. Really was a fantastic series overall. 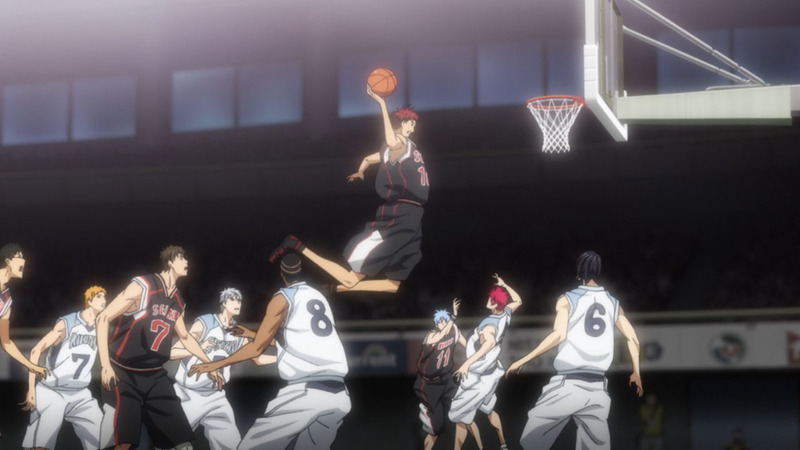 Did anyone see Kagami jumping over Kiyoshi? 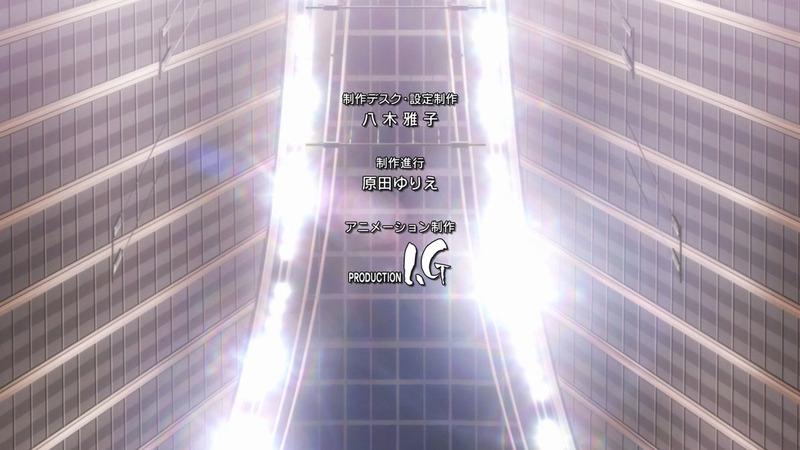 This was one match I had to watch in HD, and boy was it worth it :D The animation and the soundtrack…Production I.G. really brought out their best for the fans. 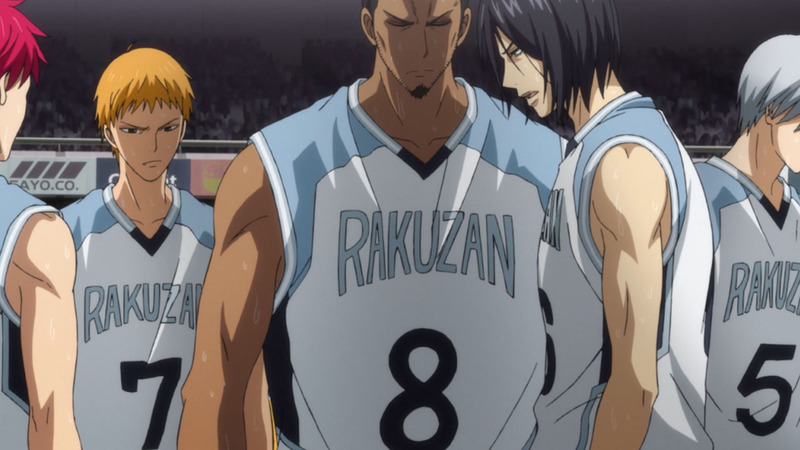 The vs. Rakuzan game was so awesome and so well-animated that it literally over-writed all the problems I had previously w/ this show. There’s also the upgrade in humor and character arcs in this last season that really makes this my fav. 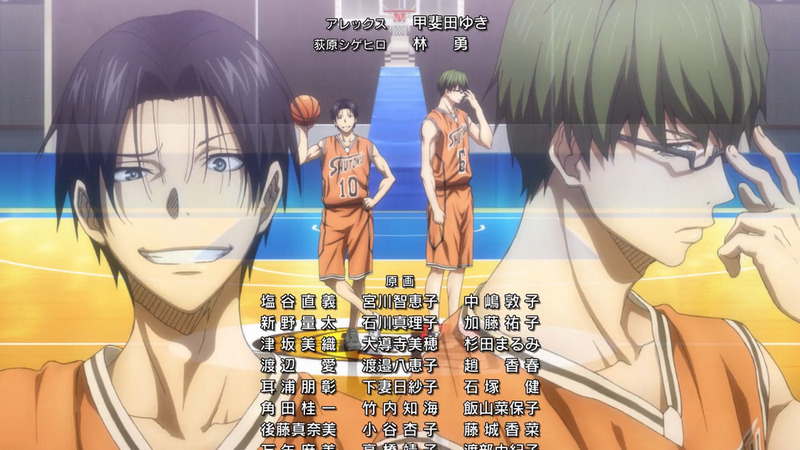 season of KnB. Heck who cares if it’s unrealistic, I’m going to go ahead and put this anime at the top of my fantasy-sports category. Thanks Takaii! Before I read this post I was like, “Oh no! 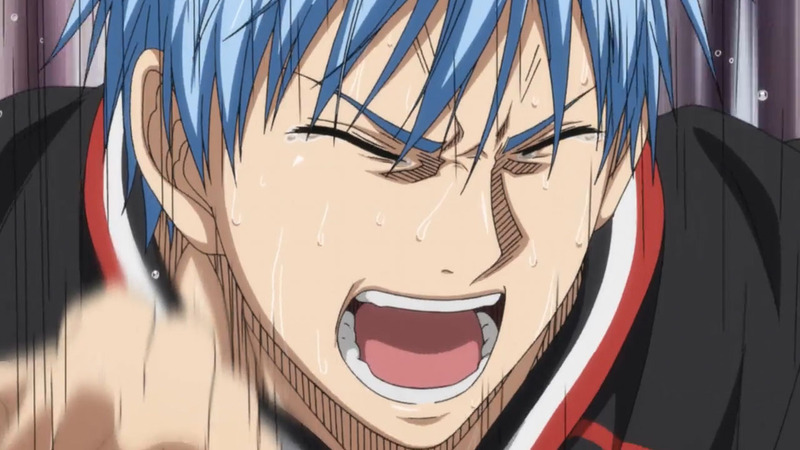 There will be no Kuroko again!” But when you said that there is still hope, well, you know the feeling. Thanks again! I really loved Kuroko No Basuke for it made me master my basketball skills and letting me come up with my style in Basketball. 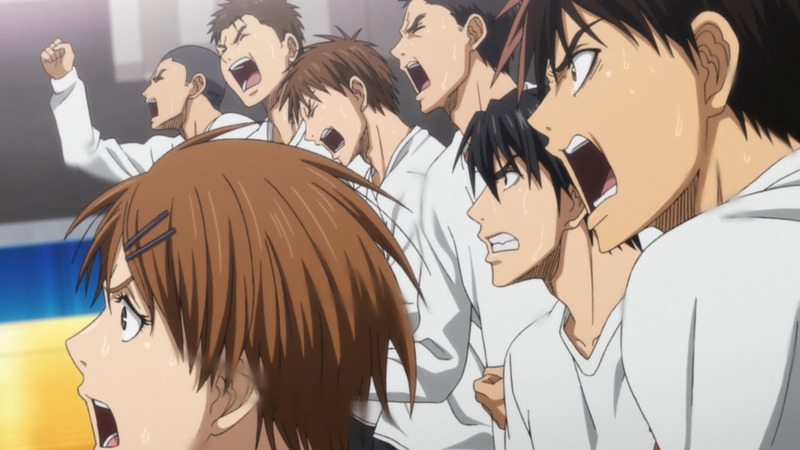 The Best Sports Anime that I had watched!